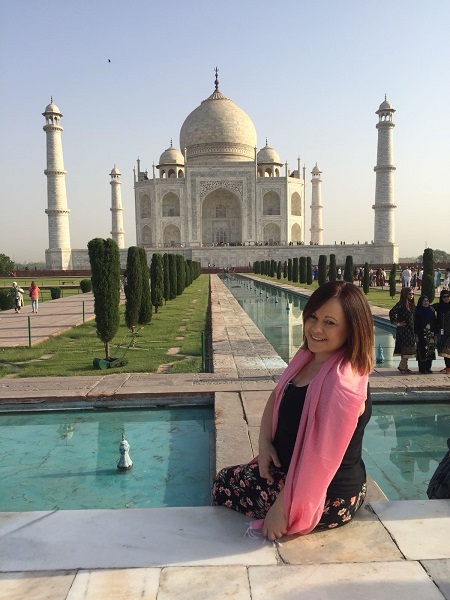 Vicky Bell, Assistant Manager at our Norwich travel agents in store at Jarrolds, was lucky enough to experience a once-in-a-lifetime trip to India. This included a tour of the Golden Triangle and the chance to spot tigers in their natural habitat. Here is her report from what was a truly memorable holiday. We were lucky enough to be upgraded to BA business class. We had access to the lounge at Heathrow airport where we could get a full meal and any drinks that we wanted, so this was a lovely touch to start the trip. I have never flown business class before so it was great to have the flat bed with a cosy cover and pillows, choice of all the films and a very nice three-course meal. Although we could have any drinks we wanted, the service on board was rather poor and they only came around with drinks when they served dinner. If we wanted anything, even a bottle of water, we had to go up and ask. Even if we pressed our light, they didn't bother to come to us. We had five different hotels on this trip. A couple of them we barely saw as we arrived late and left early morning so it's difficult to comment too much, but I will do the best I can. This hotel is a very good standard four-star in New Delhi. It's very modern and contemporary in design with a beautiful floral smell in the foyer. The staff were amazing here, really welcoming to us and greeted us with cold drinks on arrival. The room was a large twin with a very modern bathroom, lovely comfy beds and a city view. Even though we were over the main road, it was quiet due to the soundproofing. Breakfast here was very casual with a mix of continental, cooked, and Indian options. It was interesting to have curry for breakfast. Why not? Again, an excellent four-star hotel, right in the centre of Jaipur. The facilities here are excellent with a health spa, outdoor pool and fitness centre all available. Again, the rooms had a city view with soundproofing so no beeping mopeds could keep us awake. They were a good size with twin beds and modern bathroom facilities. Breakfast was a casual buffet with a great mix of European and Indian choices. We had one buffet dinner here too, which mainly focused on Asian and Indian cuisine. There was only a small choice for those who would have preferred more Western food. There was a lovely cocktail bar which we enjoyed sitting in at night. This one was my absolute favourite. After the hustle and bustle of Delhi and Jaipur, it was wonderful to be in the peace and tranquillity of the national park of Ranthambore. The hotel is very traditional Indian style, offering impeccable service and wonderful food. There is a beautiful, small pool area alongside an outdoor BBQ and eating area where food is set-up early in the morning for those going on the tiger safari, and also at sunset for those coming back. It's a great area for people to discuss what they have or haven't seen in the day and to swap photos and experiences. Dinner can be taken outside in the garden which has an outside cooking station serving up amazing traditional Indian food, but there is also an indoor buffet which has a huge array of Indian and a small mix of Western options. The rooms are huge and included two double beds, a sofa area and the biggest bathroom imaginable. The design of the rooms is very rustic Indian, lots of wood and references to tigers and the wildlife surrounding us. An extra night here to relax would have been perfect. We didn't get much time here due to a late arrival and an early start the next day. However, first impressions were not the same as all other hotels. Although the welcome was just as warm and friendly, almost to the point where the staff were bowing to you, the hotel was very old school Indian style and was slightly tired. The rooms were rather old fashioned, but you could see at one time they would have been considered glamorous. They also had tiny bathrooms. Our room was extremely noisy thanks to the street we were facing, so we did have to get moved to a different one, which was much better. It was no trouble for the hotel to do this, they were extremely accommodating and moved us to a room with a far-off view of the Taj Mahal. For dinner, we had a fantastic Indian banquet with about six courses, which was far too much but all absolutely delicious. So, all in all, the hotel staff were fantastic along with the food, but the hotel itself was just slightly tired. I felt the rooms needed a bit of a revamp to update them a bit. We had a later check-in here and an early start to check-in for our flight home. All in all, this is a typical airport hotel - very modern, open style dining area, and a few cafés and bars in the foyer. It was a comfortable hotel, very glossy, but it lacked personality and you could have been anywhere in the world. Everything was included in the trip from all the meals and soft drinks to entry into every museum and temple. The only extras for us to pay were for alcohol if we wanted it. We also had to pay for our gratuities up front as well. There were so many highlights of the trip, the top one being the visit to the Taj Mahal; it really was one of the best experiences of my life. 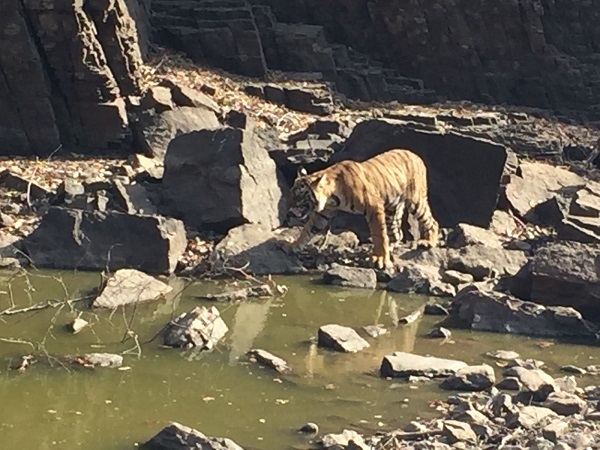 The stay in Ranthambore and doing the tiger safari were both wonderful and something I will never forget. It was unforgettable seeing a family of tigers in the wild, in their natural habitat. Our stay in Delhi included a rickshaw ride around Old Delhi which was one of the scariest, thrilling, and funniest things I have done. We were riding around the crowded markets on the back of a bike ridden by a guy who probably weighed no more than 130lbs, dodging thousands of people. The smells and colours were amazing. This was everything I expected India to be and I absolutely loved it. We also took a walk through the spice market which was fantastic; the smell was so overpowering it made your eyes water. 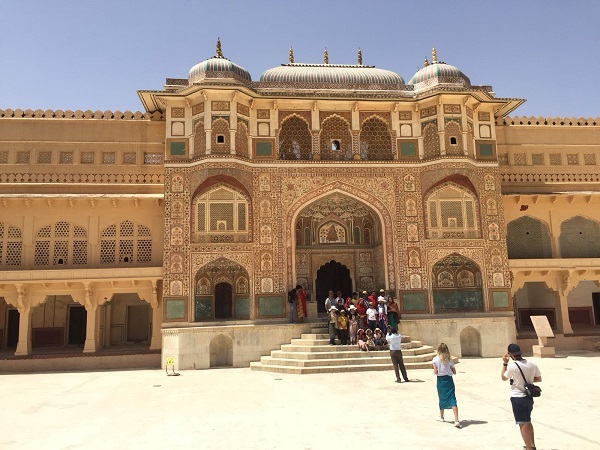 Jaipur is a beautiful city and a visit to the impressive Amber Fort is a must. We spent half a day here but, if it wasn't for the heat, we could have spent a lot more wandering around the streets, looking in the little shops and taking in the culture. On the last day, the absolute highlight of the trip was a visit to the Project Arman charity, whose core focus is 'no child is trash'. This charity helps remove children from the waste pickers with a view to educate and hopefully mainstream them into a respectable future. 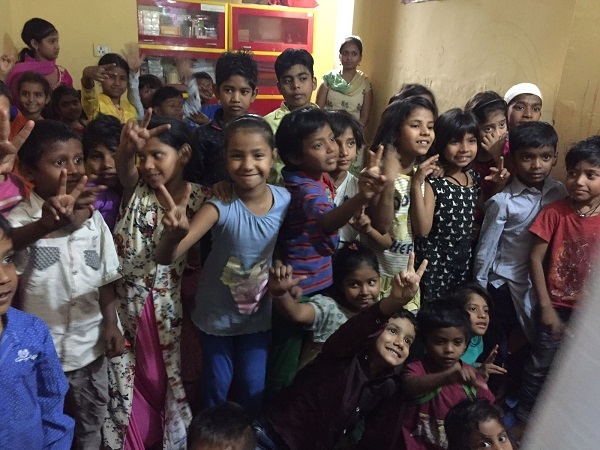 It was a very humbling experience to meet the local children from these slums and to see how they live, how happy they are to learn and how proud they are to show us their 'school'. I would recommend this trip to anyone wanting to visit India. India is one of those places you either want to travel to or you don't, but I can’t talk highly enough about it to those who do. If you would like to plan your own memorable trip to experience the colourful sights and sounds of India, our team will be happy to share their expertise. Call us today or drop into any of our travel agents in Suffolk, Norfolk, Essex, Hampshire and Dorset.